My daughter is into photography and so one Saturday we went down to Austin on a photo shoot. It’s always nice when your teenage daughter wants to do something with you. 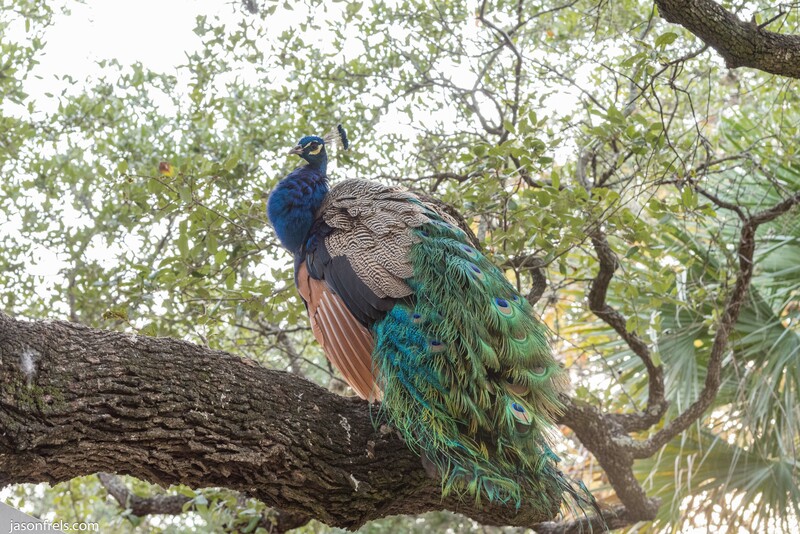 The first place we went was to a park that has peacocks. 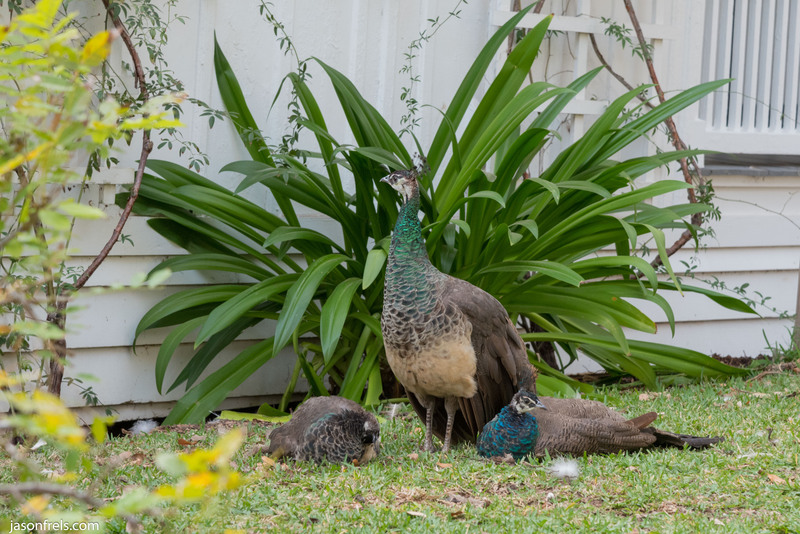 I have been here before, but I have never been able to get the peacocks on the ground displaying their feathers. Today was no different as they seem to like sitting up in the trees. The one below was up in an oak tree. The sky was very overcast and the bird was in shadow, but I was able to get some color from his feathers. There were some baby peacocks or peahens. I couldn’t get the hen away from the big plant, so she is kind of lost in the greenery. I will have to keep returning here until I can get some good photos. Not far from this place is Mt. Bonnell park from which you can see all of downtown. I have been to this location several times before, but this time my goal was to try to get some of the fall color near downtown. The below picture is a panorama stitch of several photos. You can see the University of Texas on the left, the state Capitol building in the center, and downtown toward the right. Always lots of construction. I set the aperture to f/8 and held the exposure constant using exposure lock for each picture. We drove around to a few other places. I had a great time with my daughter shooting photos.